If you’re searching for Mercedes repair you’re likely suffering from one of the common Mercedes problems. 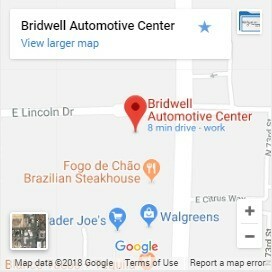 Bridwell Automotive Center is Scottsdale, Arizona’s premier Mercedes repair shop. Our team of fully certified and trained repair technicians understand the common problems with Mercedes and know the right way to fix them, the first time. Call today to schedule Mercedes repair in Scottsdale. Schedule the repair of your Mercedes by calling (480) 948-4781. Despite being one of the finest made brands of vehicles Mercedes still have common problems. Here’s a list of common issues and the likely culprits causing problems with your Mercedes. If your Mercedes key slides into the ignition barrel but will not turn it is very frustrating, especially if you’re in a hurry. Unfortunately, there’s no magic fix and if this happens you’re looking for a trustworthy tow company. Many times, the problem causing this is a faulty EIS module. Before it completely fails you will usually notice a few times where you notice the wear, get it looked at ASAP to avoid getting stuck and needing a tow. A lot of models of Mercedes end up with this problem. Your engine will continue to crank but never actually starts the vehicle. Many times, this is caused by the crank shaft position sensor. Your engine management system looks for the indication of the TDC from the position sensor. If it isn’t working correctly the signal isn’t received and the vehicle will not start. One warning sign before it just won’t start is longer crank times. So, if you’ve got a Mercedes that’s taking longer and longer to start you may consider some preventative maintenance. A common problem with the S class and E series of Mercedes it can be a frustrating issue. Your vehicle will fire up and run, but you will not be able to shift the vehicle out of park and into reverse or drive. It is commonly caused by a faulty selector module. Again, there are warning signs before complete failure. If you’ve experienced trouble shifting your Mercedes out of park, get it looked at before it fails. While a check engine light is caused by wide variety of problems a Mercedes that is running rough is a sign of misfires. It could be a single cylinder or more than one that isn’t working properly and causing your misfires. In Mercedes vehicles one of the most common causes of running rough is the mass air flow meter or “MAF”. While the engine management system usually keeps your motor running smoothly a problem with the mass air flow meter could be feeding it bad information. One sign of a bad MAF is a significant change in fuel consumption. Some models of Mercedes engines will have a rattle during the first 15 seconds after starting. This is exacerbated by colder weather conditions. In many cases the rattle is caused by a belt tensioner which is worn. If it continues past the first 15 seconds, the culprit may be the water pump pulley. See that these issues are resolved as they have the potential of leaving you road side looking for a tow. You’ll either not have a belt or the vehicle will have overheated. Older Mercedes vehicles will frequently have transmission leaks that show up under the center of where the vehicle is parked. If you find a red fluid in this area it is most likely a leak from the electrical transmission plug on the side of the transmission. Another common source of transmission leaks is the transmission pan. Generally, the leaks are gradual and may only be a few drops, but losing your transmission fluid will result in absolutely catastrophic damage. 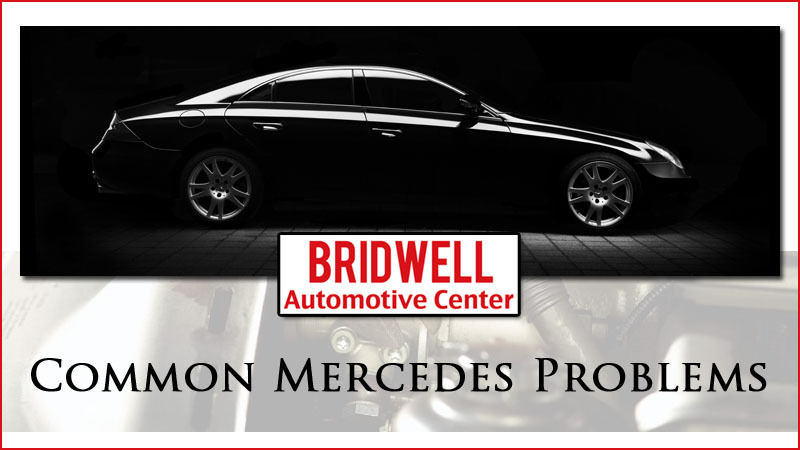 If you’re experiencing any of these common Mercedes problems or problems not listed in this post give Bridwell Automotive Center a call. We will quickly identify the source of the problem with your Mercedes car or SUV and repair the problems quickly and affordably. When you’re looking for Mercedes Repair in Scottsdale, trust Bridwell’s decades of experience and certified repair technicians.